"Broken Chair" is a simple, yet poignant and profound monument to portray the plight of the hapless victims of landmines and cluster bombs. 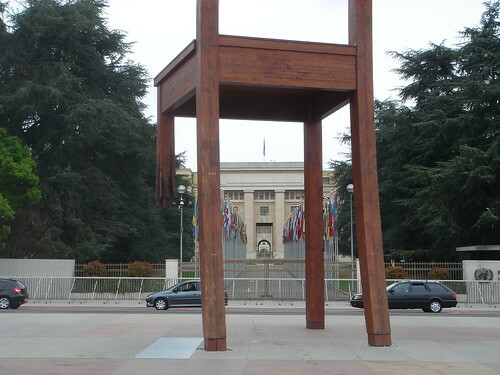 The 12-metres high wooden chair was designed by Swiss artist Daniel Berset at the behest of Paul Vermeulen, director of the NGO "Handicap International" and installed in front of the United Nations Office at Geneva on August 1997 prior to the signing of Ottawa (Mine Ban) Treaty in December 1997. It was a symbolic reminder to the delegates regarding the need for early signing of the treaty. 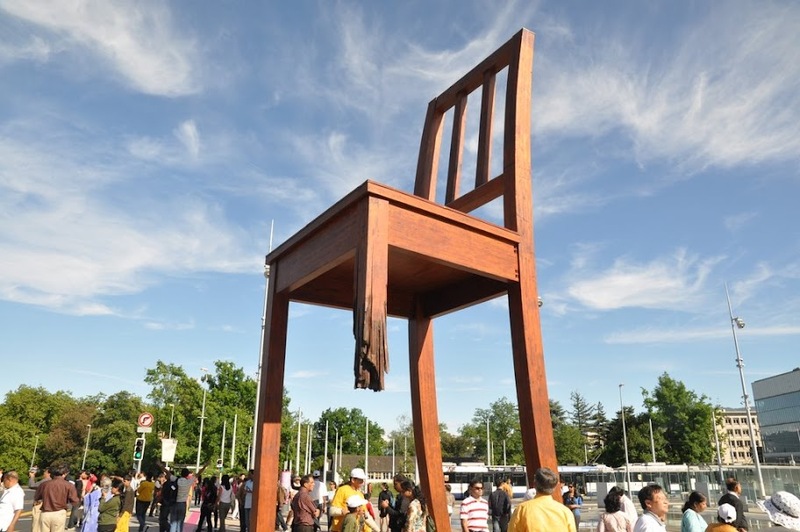 The chair was dismantled and put in storage in 2005 for the renovation of the UN European Headquarters and was re-installed in the plaza in February 2007. Initially it symbolised the landmine victims but at the time of its re-installation it was also dedicated to the unfortunate victims of unexploded cluster bombs.